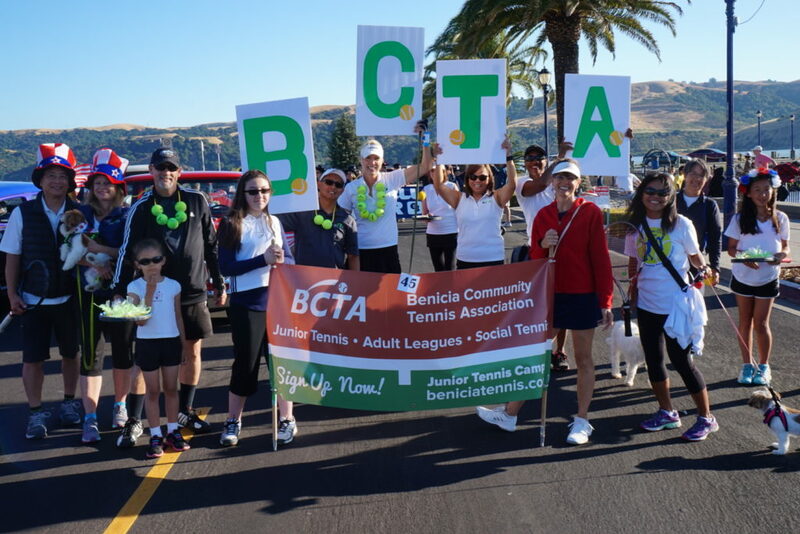 Once again the Benicia Community Tennis Association’s is participating in Benicia’s Annual Independence Day (Torchlight) Parade! Let us know if you would like to join in! Reserve your and your family’s spots by emailing Marie Anne Tabtab by July 2, 2018 or RSVPing on Facebook. Meeting Place: Bench area near the Christmas tree at the bottom of First Street. Wear your BCTA shirts (if you have one) or tennis whites, or really any tennis clothes! Bring your racquet and get ready to wave. We will be passing out candies, BCTA info and marching behind a BCTA banner!